This Christmas season you can win this gorgeous Baguette Bar Necklace from ADORE. 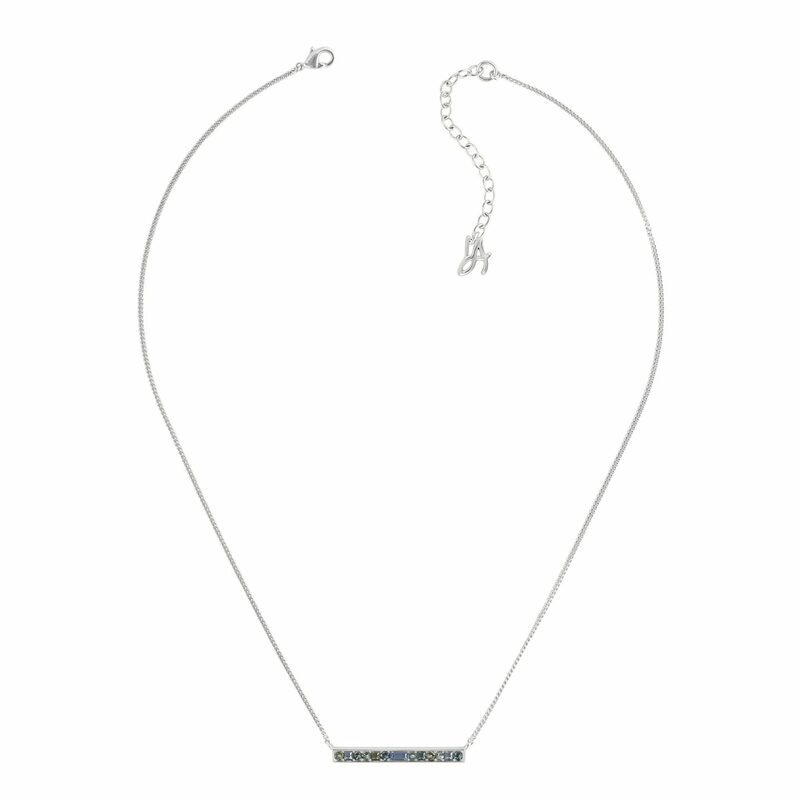 In celebration of ADORE launching in to Ernest Jones Trafford Park, we are giving away a stunning necklace onsite. Simplistic yet pretty, this ADORE style gives shimmering crystals in a contemporary bar shape, ideal for styling up or down as your activity dictates. All you need to do to enter is comment below with your favourite jewellery trend of the season, please be sure to provide correct email contact so we can notify the winner. Exclusions of use may apply. We reserve the right to cancel or change this competition at any time. Emails provided must be accurate in order to claim prize. Prize must be claimed within 5 days or it may be transferred to a runner up. Ends 31st January Midnight GMT. Ernest Jones will provide any exclusions of what is included in prize. "Escape Hunt opens in Manchester"
Rose gold remains a big trend and one I’m fully on board with, it’s stunning. In fact I bought a Swarovski rose gold pen last week! The necklace in this competition is absolutely beautiful, I just love it. I heard ‘celestial’ themes are back like stars and moons, etc, which I am already a big fan of! I’ll be glad to be able to find them easier. My favourite jewellery trend is Rose gold. It’s so popular and trendy at the moment and definitely goes with any outfit but I also do love a simple sterling silver piece, it’s always classy and it’s a classic. Love this bar necklace, also very gorgeous! The rose gold revival loving it! I love the trend for necklaces with your name on it, there are so many cute ideas out there! Jewellery in the shape of insects, they are so cool and I love them, esp bees. I absolutely love the rose gold trend! I like the pendants in the shape of something meaningful to that person. Only star sign gem stones earrings, quite personable. Loving all the enamelled pieces that are coming in. Perfect after a dark grey winter. This season I’m loving the very simplistic jewellery! Stacking and layering, whether it’s rings, bracelets or necklaces! Rose gold earrings/necklaces! I also love the flamingo trend that’s started to arrise. I love the rose gold trend – I always used to wear silver and wasn’t a fan of gold but then rose gold came along! I’m a huge fan of stacked rings. I love how you can mix and match and change to suit your mood. I just love rose gold jewellery. I love rose gold to match my Apple watch. Rose gold. I’m back on trend! I love the style of layering necklaces. Love this necklace, would be great to layer it with others I have. Love open rings! Haven’t bought myself one yet though! Jewellery with animals on, particularly bunnies! I really like rose gold, but I do tend to stick with sentimental pieces of jewellery rather than follow trends. I love all the rose gold that is around!!! I love anything to do with bees, they are gorgeous and endangered. I love celestial designs! Fingers crossed with this necklace-It’s gorgeous.